The Rams have a number of high-profile players scheduled for free agency this offseason and it sounds like they’ll allow most of them to test the waters. “There’s a good possibility” the Rams will permit defensive tackle Ndamukong Suh, safety Lamarcus Joyner, and edge rusher Dante Fowler to reach the open market before discussing new deals with them, GM Les Snead says (Twitter link via Dave Birkett of the Detroit Free Press). Snead also said the team is unlikely to use the franchise tag (Twitter link via ESPN.com’s Lindsay Thiry). Suh joined the Rams on a one-year, $14MM deal last year after he was cut loose by the Dolphins. The durable lineman turned in another 16-game season for L.A. and racked up 59 tackles with 4.5 sacks. He was also a disruptive force in the first two games of the postseason, tallying four QB hits in the first two games. He wasn’t quite as effective in the Super Bowl, but then again, most of the Rams’ stars underwhelmed in the championship game. The Jaguars more or less gave up on Fowler when they shipped him to the Rams in October. Since then, he’s shown flashes of promise and the 24-year-old (25 in August) should draw interest from clubs looking for help around the edge. Fowler had four sacks for L.A. and Jacksonville combined, just half of his 2017 total. Vincent Bonsignore of The Athletic examines how the Rams might address some of their biggest needs this offseason. The club is projected to have about $41MM in salary cap space, and Bonsignore suggests that LA must find a dominant edge rusher to take some pressure off of Aaron Donald. Luckily, this year’s draft features quite a bit of pass rushing talent if the Rams choose to steer clear of the pricey free agent market for edge defenders. Todd Gurley will obviously be back with the Rams, but given his history of knee problems, and the impact that his most recent knee injury had on the team’s playoff run, Bonsignore says LA will think long and hard about adding another back to share the load (we learned last week that the club is interested in bringing back C.J. Anderson). He also suggests that the Rams could bring back Ndamukong Suh on a two-year deal, and that Mark Barron could be a cap casualty. The Bengals will hire Jemal Singleton as their running backs coach, per Jeremy Rauch of Fox 19 (via Twitter). Singleton previously served in the same capacity with the Colts from 2016-17 and with the Raiders in 2018. Jenna Laine of ESPN.com examines a few free agents that the Buccaneers might consider, a list that includes safety Tyrann Mathieu — who of course has a history with new head coach Bruce Arians — and kicker Matt Bryant. After the recent exodus of coaching talent, Mike Reiss of ESPN.com names a few Patriots coaching assistants who could be elevated to position-coach roles. Cole Popovich, Mike Pellegrino, DeMarcus Covington, and Brian Belichick could all be promoted in short order. Pro Football Focus released its list of the top 10 players eligible for free agency in March and projected the contracts those players might land. Five of the top six players are edge rushers, including Jadeveon Clowney, the top player on the list, whom PFF expects to land a six-year, $135MM deal with $85MM in guarantees. Clowney, of course, is expected to be hit with the franchise tag, so if he gets a contract of that size this year, it will likely come from the Texans. Is the NFL mishandling the Mychal Kendricks case? Mike Florio of PFT seems to think so, arguing that a potential 12-game suspension for alleged insider trading doesn’t make sense when considering the baseline punishment for domestic abuse suspensions is a six-game ban. The “indefinite” suspension for the Seahawks linebacker could technically allow him to return this season, but there won’t be any real progress in his case until his sentencing in January. One could argue that a preemptive suspension was not necessary since Kendricks made immediate restitution and has no criminal record. The timing of Earl Thomas‘ four-year, $40MM extension was not exactly ideal for the safety, Bob Condotta of the Seattle Times writes. Had Thomas’ contract run out in 2017, the team might have signed him to a third deal heading into last season as it did with Kam Chancellor. Instead, Thomas’ age made a lucrative new deal unpalatable for the Seahawks. Condotta also notes that Thomas can technically be traded while on IR, but that would make little sense since he has been ruled out for the season. Before Thomas’ leg fracture, the Seahawks reportedly lowered the asking price on the All-Pro defender. The Chiefs were in pursuit of him and the two sides were inching towards a trade. 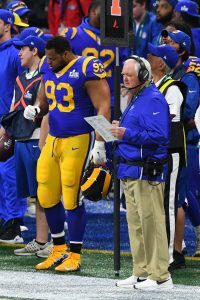 The Seahawks spoke extensively with Ndamukong Suh in the spring, but the club couldn’t get close to the Rams’ offer due to cap constraints, coach Pete Carroll says (Twitter link via Condotta). On Sunday, the Seahawks will face Suh, who is off to a tremendous start. Former Cowboys wide receiver Brice Butler says he signed with the Cardinals in part because of the presence of new quarterback Sam Bradford. Ndamukong Suh‘s deal with the Rams includes a $1MM incentive if he plays 65% of the snaps and the team wins two playoff games, Field Yates of ESPN.com tweets. If he reaches 65% of the snaps and the Rams make the playoffs, he’ll earn an extra $500K. With 65% of the snaps and one playoff win, Suh will see an additional $750K. Notre Dame guard Quenton Nelson is a fit for the 49ers if he slips to No. 9 overall, but he is not the ideal guard for SF, Matt Barrows of the Sacramento Bee opines. The 49ers are after a guard who can move while Nelson, a power blocker, struggled against speedy defenses at times, including a late season loss to Miami. The Bears, picking at No. 8, are believed to be eyeing Nelson, so the Niners probably won’t be faced with a question of whether or not to select him. Bob Condotta of The Seattle Times would be “stunned” if the Seahawks end the 2018 draft with just the eight picks they currently have. He fully expects Seattle to trade down in an effort to fill multiple holes left by this year’s cap crunch. The Rams have agreed to sign Ndamukong Suh, according to Adam Schefter of ESPN.com (on Twitter). It’s a one-year, $14MM deal for the defensive tackle. The team has also confirmed the deal via press release. 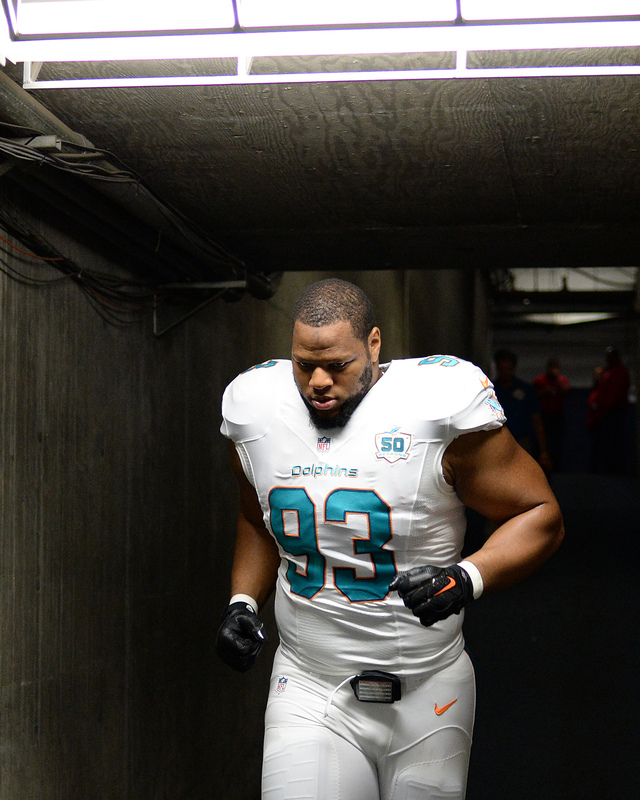 Suh has long been regarded as one of the game’s best interior pass rushers. Now, he is slated to join defensive tackle Aaron Donald and defensive lineman Michael Brockers on the front line of Wade Phillips’ 3-4 scheme. Then again, given their aggressiveness in recent weeks, it wouldn’t be surprising to see the Rams listen to trade offers for Brockers rather than moving him permanently to the outside. Brockers is slated to carry an $11MM cap charge this season and the Rams could perhaps use that extra flexibility and draft capital to add an impact wide receiver. After being released by the Dolphins earlier this month, at least five teams got in on the chase for Suh, including the Titans, Saints, and Jets. The Jets reportedly more money that everyone else but, in the end, he took a little bit less to play in sunny Los Angeles with a chance to win a Super Bowl ring. Suh was also scheduled to meet with Jon Gruden‘s Raiders, but that visit was called off. Suh has racked up 51.5 sacks and four forced fumbles over the course of his career. The five-time Pro Bowler and three-time first-team All-Pro has also been remarkably durable, missing only two games in eight years. Suh also hasn’t slowed much with age. He is now 31 years old, but he still managed 20.5 pressures and and 4.5 sacks from the interior last year while grading as the league’s No. 5 defensive tackle in 2017, per Pro Football Focus. 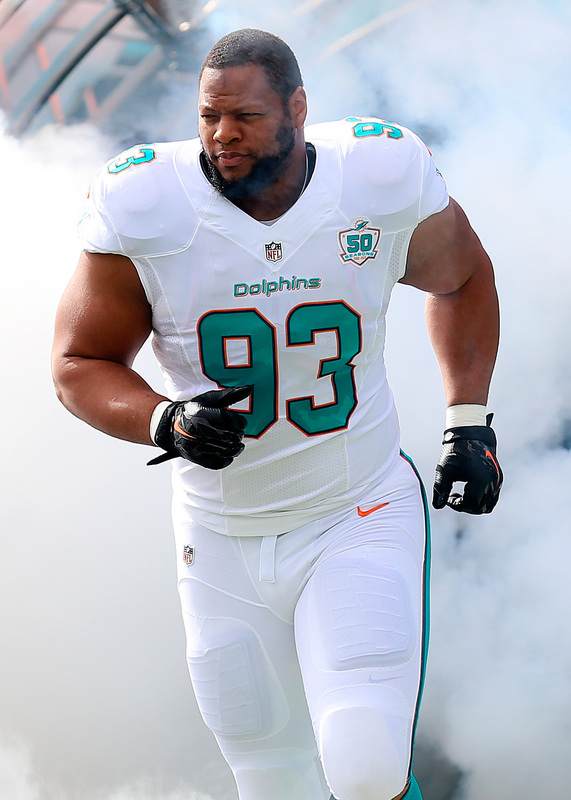 Last season, Suh played on 883 snaps for Miami, the second-most of any defensive tackle in the league. The Jets’ rescinded offer to free agent defensive tackle Ndamukong Suh was for one year and came with a “hard deadline,” general manager Mike Maccagnan told reporters, including Manish Mehta of the New York Daily News (Twitter link). New York was reportedly offering Suh the most money of any interested party, but that may have only meant Gang Green was willing to give Suh the largest annual average. An annual average doesn’t make much of a difference if the contract is only one year in length, and Suh is almost assuredly going to land a multi-season pact with a hefty guarantee. The Rams are now the front-runners for free agent defensive tackle Ndamukong Suh, according to Ian Rapoport of NFL.com (Twitter link). While Suh has not officially ruled out the Titans or Saints, he seems to be focusing in on Los Angeles. 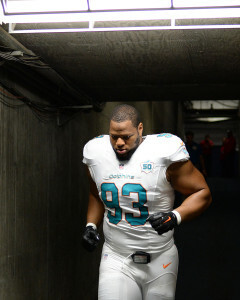 Suh has been linked to five clubs since being released by the Dolphins earlier this month. In addition to the Rams, Titans, and Saints, Suh also received an offer from the Jets, and that proposal was believed to have been the largest in terms of dollars. New York, however, rescinded their offer on Sunday, with owner Christopher Johnson indicating Suh “wasn’t in keeping with [the Jets’] long-term plans.” Suh was also scheduled to meet with the Raiders, but that visit was ultimately canceled. Los Angeles uses a 3-4 scheme, meaning Suh would be moving away from a 4-3 defense for the first time in his career. The Titans and Jets also deploy 3-4 fronts, so working in a new look clearly doesn’t present an issue for Suh. 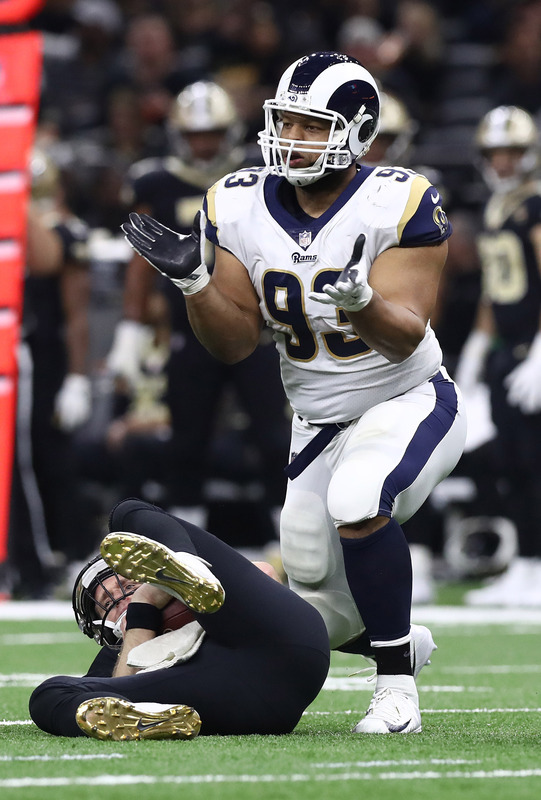 With the Rams, Suh would play end opposite superstar Aaron Donald, providing the club with what would be the most feared defensive line in the NFL. At present, the Rams possess roughly $28MM in cap space, per Over the Cap, so they’ll have enough room to fit a hefty Suh salary on their 2018 books.